The dragon riders of Berk are back in the third and final installment of the How to Train your Dragon film series, The Hidden World. It's been 9 years since the first movie first graced the big screen in 2010, and as expected, the quality of the visuals have received a massive overhaul since then, breathing new life into the characters and the world they inhabit. But perhaps even more impressive is just how much those characters have grown and evolved over the course of the narrative. After becoming chief of Berk at the end of the previous movie, Hiccup (Jay Baruchel) continues to fight for his vision of a world where humans and dragons can live in harmony. He does this with the aid of his friends by freeing those dragons being held prisoner by trappers, and bringing them back to his village. Except this results in their village becoming overrun by dragons. It also causes the aggrieved trappers to hire the infamous dragon hunter, Grimmel the Grisly (F. Murray Abraham). As if the pressures of keeping his overcrowded village in order were not enough, Hiccup must also deal with the expectation that he take his girlfriend, Astrid (America Ferara), as his bride. And he is not the only one being troubled by matters of the heart, as his dragon, Toothless, takes a liking to a female Night Fury. Now it is up to Hiccup to show him how to win her heart, even as he struggles to keep his people safe by seeking out a new home for them in The Hidden World, a dragon utopia his father (Gerald Bulter) had been obsessed with finding. 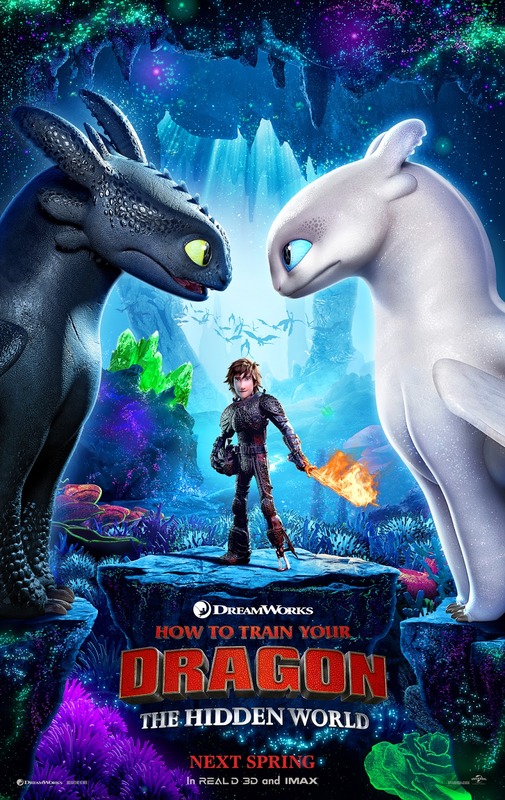 How to Train your Dragon: The Hidden World is an emotional rollercoaster of a movie, even though it never quite reaches the emotional highs of the previous one. I tried not to get teary eyed at the ending, but dear Lord, did I fail. There were so many callbacks to the previous films, which makes you realize just how much these characters have come into their own. This is ultimately a movie about letting go of the things we love, as hard as that might seem, and embracing the uncertainty that such a future might bring. Now this is how you end a film trilogy, unlike that recent movie whose name I would not be mentioning here. To do that would be an insult to the quality of this one. As such, How to Train your Dragon: The Hidden World joins the ranks of Toy Story 3 and The Lord of the Rings: The Return of the King as one of the most emotionally satisfying conclusions to a trilogy in recent memory. I haven't gotten around to seeing the second one. I love the first one quite a lot. You should totally see the second one, and this one too of course. But yeah, the first one still holds a special place in my heart. Is it as dark and heavy as the last one? I thought that one was a bit too much, although I did like it. I was also surprised by the last one, but this one has an overall lighter tone with a bittersweet ending.